A Chinese company has announced ambitious plans to put a "fake moon" into space to brighten the night sky. According to the People's Daily state newspaper, officials at a private aerospace institute in Chengdu want to launch this "illumination satellite" in orbit by 2020, and say it will be bright enough to replace street lights. The straight-out-of-sci-fi news has sparked fascination, scepticism from scientists, lots of questions and outright mockery. What do we know about this project? Not much - and the little information that is available is somewhat contradictory. People's Daily first reported it last week, quoting comments made at an innovation conference by Wu Chunfeng, chairman of the neatly named Chengdu Aerospace Science Institute Microelectronics System Research Institute Co, Ltd.
Mr Wu said the idea had been in testing for a few years and the technology was now in place to make it happen, with a launch scheduled for 2020. The China Daily newspaper quoted Mr Wu as saying that three "huge mirrors" could be launched by 2022. It's not clear from any of the reports whether this project has any official backing. How might a 'fake moon' work? The artificial moon would work as a mirror, reflecting sunlight back to Earth, according to China Daily. It would orbit 500km about Earth - roughly the same height as the International Space Station. The Moon orbits, on average, about 380,000km above Earth. The reports gave no details about what the fake moon would look like, but Mr Wu said it would reflect sunlight across an area of between 10km and 80km with brightness "eight times" that of the real Moon. According to Mr Wu, both the accuracy and intensity of the light would be controllable. To save money. It might sound ridiculous but the Chengdu aerospace officials say putting a fake moon in space could actually end up being cheaper than paying for street lights. China Daily quoted Mr Wu as saying illuminating an area of 50sq km could save up to 1.2bn yuan ($173m; £132m) a year in electricity charges. It could also "illuminate blackout areas" after, say, a natural disaster like an earthquake. "Think of this as sort of an investment," Dr Matteo Ceriotti, a lecturer in Space Systems Engineering at the University of Glasgow, told the BBC. "Electricity at night is very expensive so if you could say, have free illumination for up to 15 years, it might work out better economically in the long term." OK but is it possible? Scientifically, it's viable, says Dr Ceriotti. But to serve its purpose, the fake moon would have to be permanently in orbit over Chengdu - a relatively tiny area when you look at the Earth from space. That would mean it would need to be in geostationary orbit, which is about 37,000km from the Earth. "The only problem is at that distance you'd need the satellite pointing direction to be extremely accurate," said Dr Ceriotti. "If you want to light up an area with an error of say 10km, even if you miss by one 100th of a degree you'll have the light pointing at another place." And to have any impact from that distance, the mirror would have to be truly colossal. What impact would this have on the environment? Kang Weimin, director at the Harbin Institute of Technology, told the People's Daily that the light of the satellite would be similar to a "dusk-like glow" and "should not affect animals' routines". But social media users in China have concerns. Some said it will surely confuse nocturnal animals, while others say that many cities in China already suffer from light pollution. 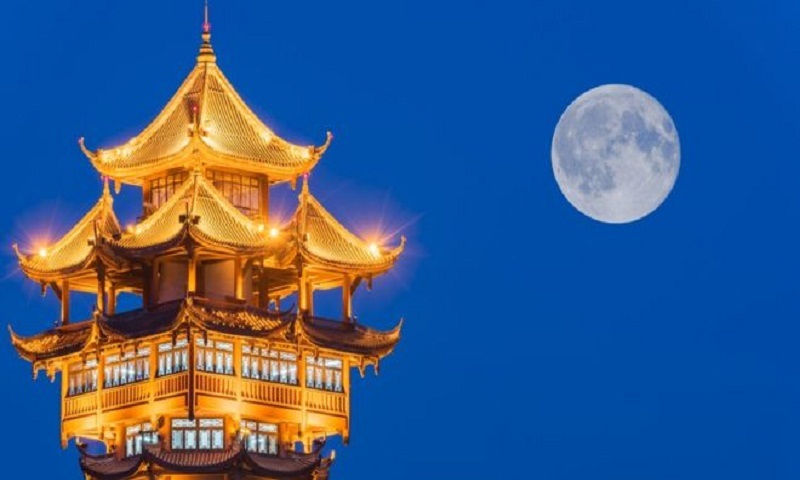 "The moon would significantly increase the night-time brightness of an already light-polluted city, creating problems for Chengdu's residents who are unable to screen out the unwanted light," John Barentine, director of Public Policy at the International Dark Sky Association, told news outlet Forbes. Dr Ceriotti told the BBC that if the light is too strong "it will disrupt the night cycle of nature and this could possibly affect animals". "But conversely if the light is so faint then the question is, what is the point of it?" No, a space mirror to create daylight at night has actually been tried before. In 1993, Russian scientists released a 20m-wide reflector from a supply ship heading to the Mir Space Station, which was orbiting at between 200km and 420km. Znamya 2 briefly beamed a spot of light about 5km in diameter to Earth. The light marched across Europe at 8km/hr, before the satellite burned up on re-entry. Attempts to build a bigger model of Znamya failed in the late 1990s, leading the BBC's science editor at the time to say there was "not the slightest chance that the Earth will be girdled with space mirrors in the foreseeable future".